Light Brew Photography, 9780692109366, 114pp. 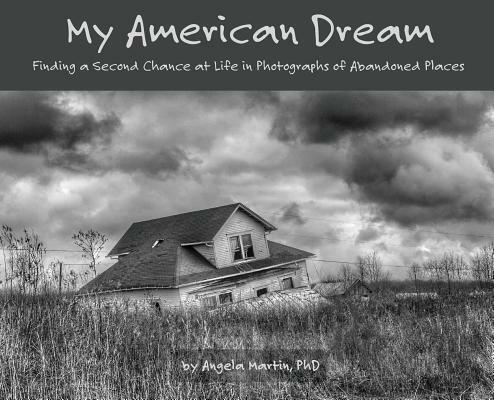 In her debut book, My American Dream, southern photographer, Angela Martin, shares a selection of her provocative photographs of abandoned places in the American mid-South. She also candidly relates her personal story about losing the American Dream in midlife, then finally, unexpectedly finding a second chance at life in the ruins of these abandoned places. Angela teaches us how connecting with the right creative work, on the right subject, at the right time, can touch your deepest self and shape who you are anew. Experiencing fine art, whether as a creator or an enthusiast, can transform body and soul, heal old wounds, and open one to fresh horizons filled with endless possibility. Her journey is a testament to the transformative power of creativity, and one filled with valuable lessons for anyone searching for a more meaningful life. My American Dream is both a commentary on the changing face of the American Dream over the last half-century and a call to a New Dream; one based not on the accumulation of wealth and things, but on learning to live a meaningful life as one's most authentic self. Angela Martin, PhD, is an award-winning photographer, writer and anthropologist. She is a southern artist with a uniquely emotional, organic and painterly style. When not roaming the backgrounds creating images of landscapes, nature and places, she writes about the experience of fine art photographs at the Light Brew Blog. Find her on the web at: www.LightBrewPhoto.com & on Facebook at: www.facebook.com/LightBrewPhoto.